100% PURE TURKEY PROTEIN WITH SWEET POTATOES. 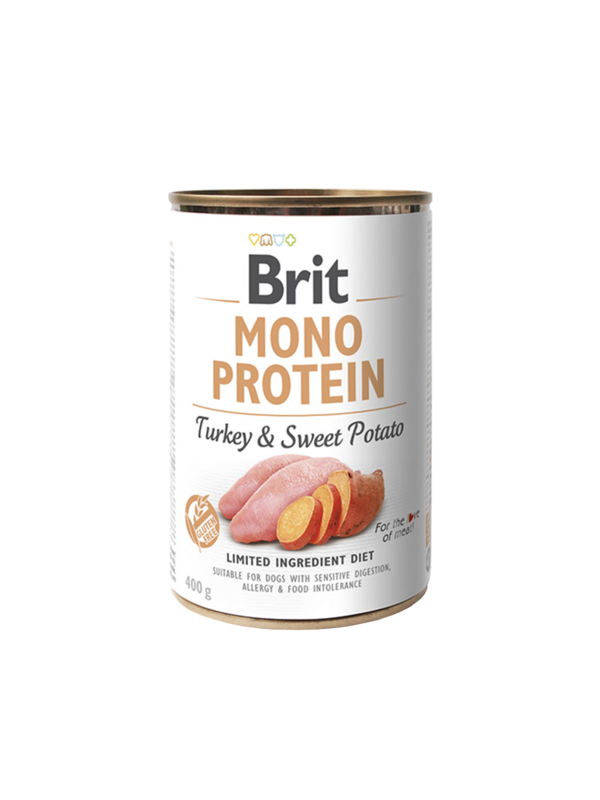 Brit Mono Protein provides complete and balanced nutrition. The formula is based on a single type of protein and is ideal for reducing the risk of food allergies and intolerance.